Lisa: I’ll do whatever it takes. Bart: Then welcome to the nether regions of the soul. The green paint on our porch floor is flaking off. Something has to be done! We really want to go for the natural wood look, but that means stripping the paint. Stripping the areas where the paint is flaking off is not a problem, but other parts of the floor are not flaky. In fact, they’re so not flaky that we’re thinking about abandoning the natural wood idea. At this point, we have tried a few different paint stripping methods without success. The green, top layer comes off pretty easily. 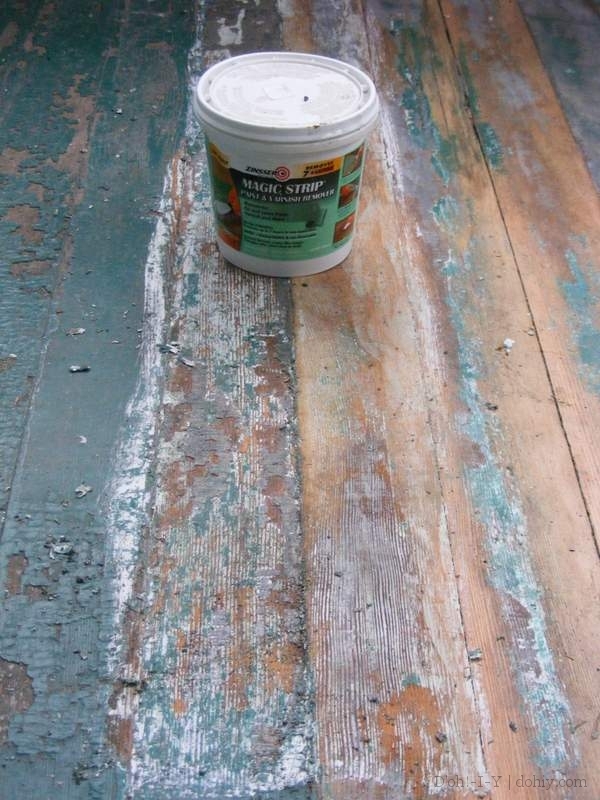 Under the green paint there’s a gray layer, which is extremely well-adhered to the floor boards. Apart from the porch floor, every wooden surface in our basement is painted with the same gray. It’s also one of the layers on the window frames. It appears the original owner was in possession of a consignment of paint that might, if it hadn’t been attached to our house, have seen action in the Pacific Theater of WWII. Suffice it to say, it’s very good at being paint. This was the first idea. Looking at the flaking paint, it occurred to me that I could strip the whole thing by hand. So, I got to work. Well, the flaky bits do come off quite easily. Unfortunately, the non-flaky bits don’t come off at all. One day, Stacey surprised me with this Craigslist purchase. This kind of tool was new to me. Seemed like a good idea though. So, I set about the porch floor with it. It does quite well, but doesn’t get all the paint off. I think the problem is that the floor is not perfectly flat. The tool has a very small cutting depth, less than 0.3 mm. It is held to that depth by the base of the tool, so it removes paint from the high points, but can’t reach into the low bits. I could increase the depth of the cut, but that would mean taking out big chunks of wood from the high points of the floor. Mechanical methods were really falling down on the job. Time for chemistry! Since we have cats and a sense of environmental responsibility, we try to only use chemicals that are harmful to neither. Or, at least, that’s how we begin. We tried each of the chemical methods on both mechanically ‘stripped’ and untreated areas. We began with a mild citrus paint remover. 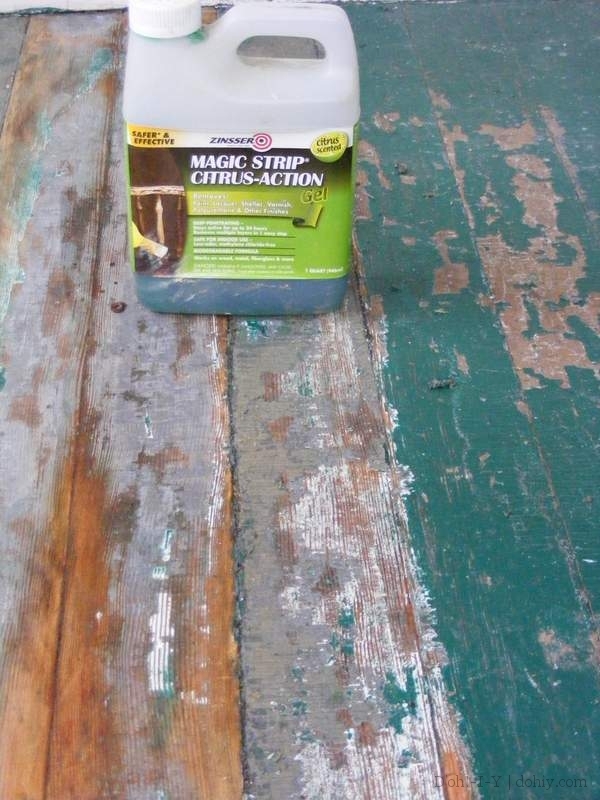 The results of using Zinsser Magic Strip Citrus-Action paint stripper on stripped (left), and unstripped (right) floor boards. After being left on for 24 hours, the citrus stripper was pretty good at taking off the green paint, but didn’t touch the gray. We also tried a slightly more cat and environment unfriendly stripper. 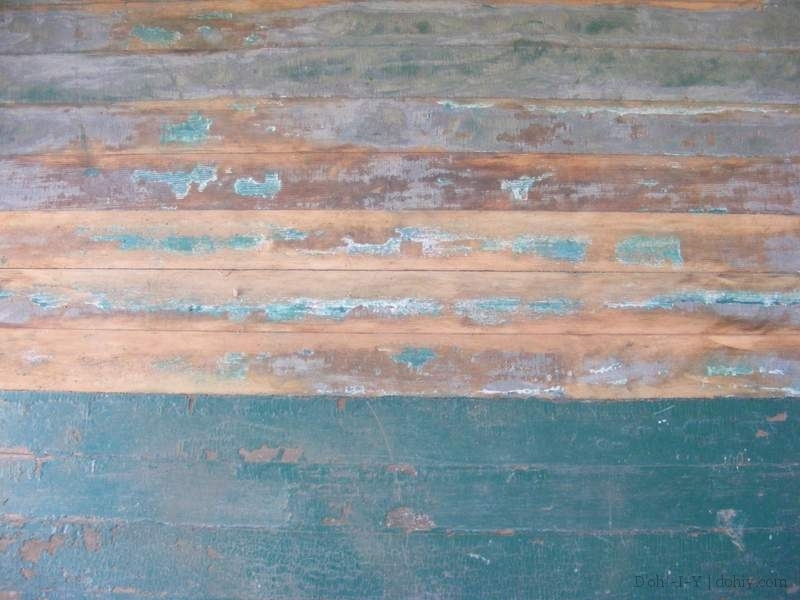 The results of using Zinsser Magic Strip on stripped (right), and unstripped (left) floor boards. Again, after 24 hours, the green came off pretty well. Zinsser Magic Strip also took off some of the gray paint, but not enough to call this test a success. So, after the failure of the cat and environment friendly options, we went for the nuclear option. 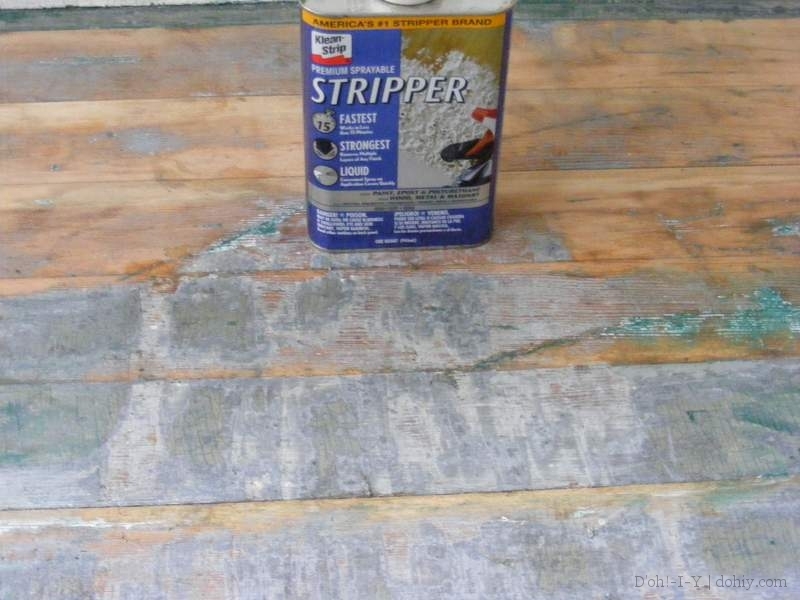 The result of using Klean-Strip Stripper on an unstripped floor board. 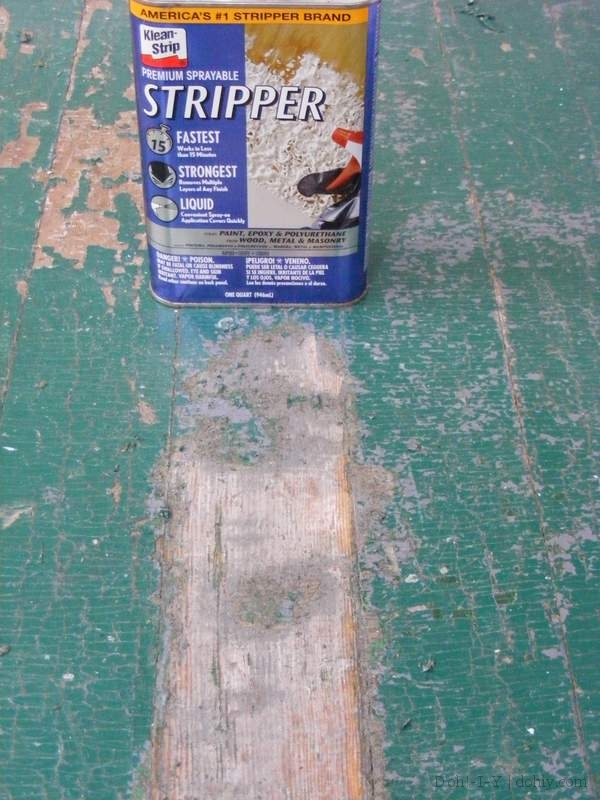 The Klean-Strip Stripper easily removed the green paint. But, even after two applications, it didn’t take off all the gray paint. 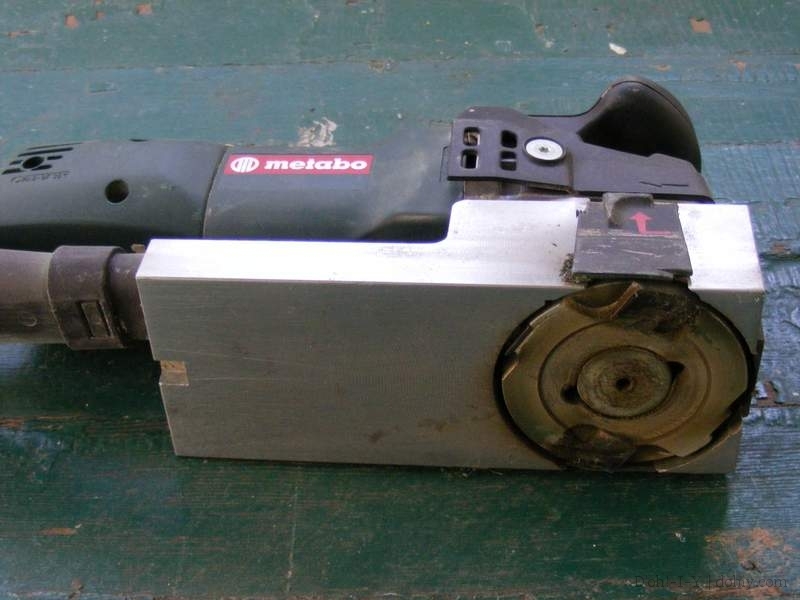 We also tried Klean-Strip Stripper on a Metabo-stripped area. But that really wasn’t any better at removing the gray. 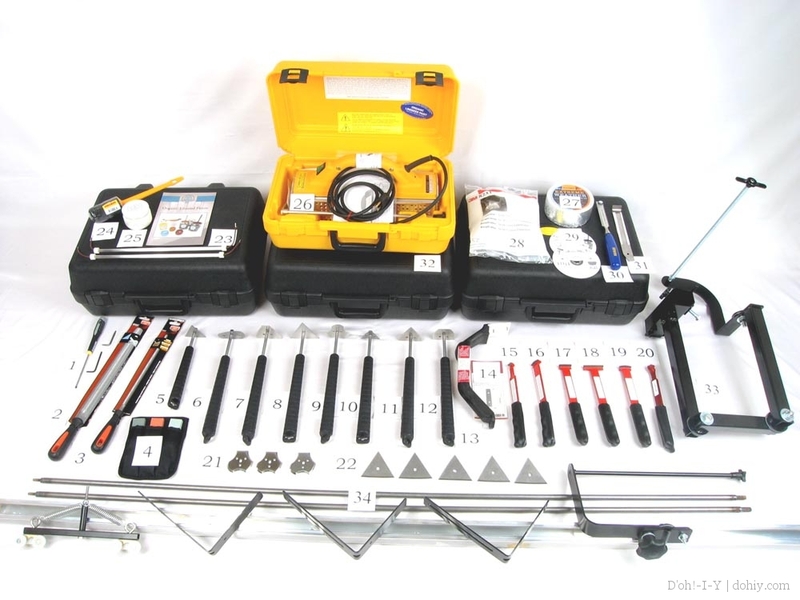 That is an infrared paint remover and its various included tools. There are a few different tools like this on the market (this one is the “Silent Paint Remover”), and they use an infrared lamp to heat paint hot enough to quit sticking, but not so hot that it emits lead vapour. It’s all upside except for the price (ergo ebay). As always, if you have any suggestions that might help us take off stubborn paint, we would be more than grateful to hear them. 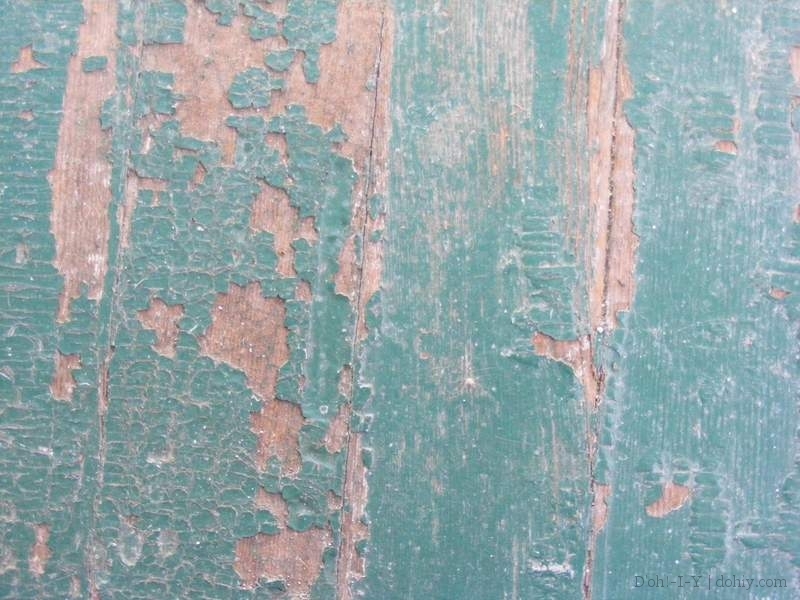 This entry was posted in Before & After, D'oh!, Porch, Salvage, Walls & Floors and tagged paint stripping techniques, stripping paint off a floor, stripping porch floor, stripping wood floor. Bookmark the permalink. I’ve had good luck with a heat gun – basically the same idea as the IR, but slower (and cheaper). good luck! We were inspired by your comment to try this! We were avoiding it because of the lead paint, but we got all done up in hazmat suits and gave it a try — will post about it soon. Thanks for the suggestion! Did you ever get the gray paint off your porch floor? Having the same exact issues.